If you want a similar website, contact us for a free estimate! 0101.su is a dating platform for people who want to meet a partner or a person who shares the same interests, and who aim to bring the relationship into the real world. The doors are open to site visitors from Russia, Ukraine and Belarus. 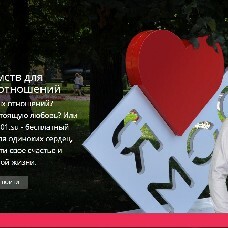 Read the interview with the site founder and owner Yury Zhigalov on our Russian blog.